East-West Brothers Garage: F-Type vs. S2000: Is the Jag Really Worth an Extra $42k? 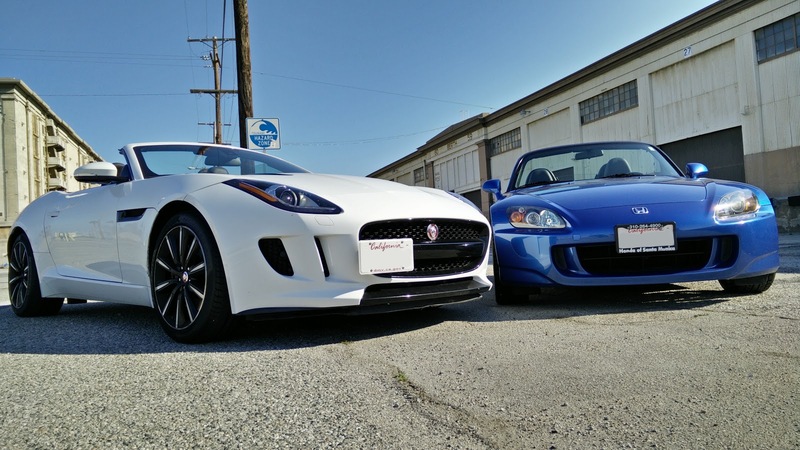 F-Type vs. S2000: Is the Jag Really Worth an Extra $42k? 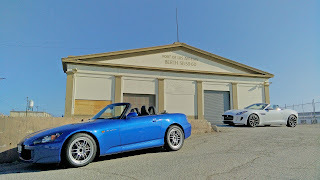 Ever since we acquired a Jaguar F-Type in our long term garage, we have been wanting to pit West Brother's S2000 against it in a sort of "David vs. Goliath" type scenario. Seems like an apples to oranges type comparison, right? Strangely enough, not really. The 2015 Jaguar F-Type we have access to is the standard, supercharged V6 equipped model, making 340 horsepower. Its fastest recorded zero to 60 time is five seconds flat, with a 13.0 second sprint to the quarter mile. West Brother's 2007 Honda S2000, while having a 100 horsepower deficit, makes up for the power difference with a huge weight advantage. The fastest recorded zero to 60 time is 5.4 seconds, with a quarter mile sprint completed in 13.8 seconds. Just by looking at the numbers, there really is not a huge difference in performance. From just performance alone, the Jag has a hard time justifying that extra $42,000. But what about the rest of the car? Dimension-wise, the F-Type is definitely longer and wider and has a longer wheelbase than the S2000, but is not much taller. Exterior dimensions aside, it is the interior where the two cars are almost identical. The Jaguar F-Type has 37 inches worth of headroom and 43 inches of legroom. With the S2000, you get 34.6 inches of headroom and 44.3 inches of legroom. Both cars give you access to 7.0 cubic feet of trunk space, although the Jags is very wide and flat, making it rather useless for anything deeper than a backpack. Despite the fact that the F-Type is much longer and wider, it offers very little extra headroom (although with a convertible top, who cares! ), has less legroom, and has the exact same sized trunk as the S2000. But let us go a little deeper into the interior of both cars. When it comes to standard equipment, this is where the two vehicles are going to be very different. Honda's S2000 comes standard with manually adjustable leather seats, a non-adjustable leather wrapped steering wheel, cruise control, all digital gauges, an AM/FM single CD radio with XM radio capability, manual HVAC, manual transmission, and a manual handbrake. West Brother would later upgrade the factory stereo with an aftermarket unit that included a USB Port, Bluetooth audio and phone integration, and native Pandora support. The F-Type builds and improves upon the S2000's standard features by offering higher quality leather with aluminum trim, insanely power adjustable seats with three memory positions, power adjustable steering wheel, automatic HVAC, a full touchscreen infotainment system, an eight-speed automatic transmission with paddle shifters, and a electronic parking brake. Obviously, there are far more features on the F-Type that I have not gone into (like heated seats), but even if you take all the features of the car into account, does it really add up to an extra $42,000? Let us see what we both have to say about both cars. 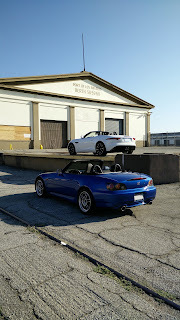 As the owner of said S2000, my opinion might be a bit biased. But looking at the performance numbers and interior dimensions of both cars, I do have to wonder if it is really worth spending upwards of $60k trying to find a used F-Type, or spend just under $19k to buy a used AP2 S2000. 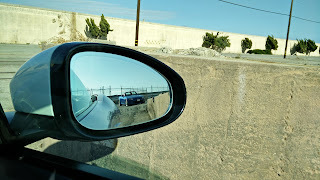 Sure, the F-Type is faster, but not by all that much. With the money you saved, you can do some minor modifications that would make the S2000 match the performance figures of the F-Type, and still probably have $35k to $40k to pocket. Of course, the interior of the F-Type is going to be much better than my own car. If Jaguar tried to charge over $70k on a car with the interior of a $30k car, who the heck would buy it? Now this is not to say the the Jaguar does not have its merits. In theory, the F-Type does get better gas mileage than my car thanks to more modern engine technologies such as direct injection. The F-Type also makes a much better sound from its exhaust that my own car could probably only dream of matching. And while I still prefer the six-speed manual in the S2000, the ZF sourced eight-speed automatic is not bad at all. I do still have to wonder though if a nicer interior and better exhaust note is really worth all that extra money. The F-Type and the S2000 are two cars that feel spiritually similar, but take dramatically different approaches to their missions. The S2000 is all about purity, which means that it is scaled back in a minimalist manner that leaves everything raw and massively engaging. The manual transmission is rifle-bolt precise and the electric power steering is the best of any car I have driven. There is never any question what the wheels are doing and the seating position encourages drivers to stay as attentive as possible. By comparison, the Jag adds a layer of refinement, that also scales back its rawness. Instead of purity, the F-Type aims for a distilled essence of driving engagement paired with an epic soundtrack. 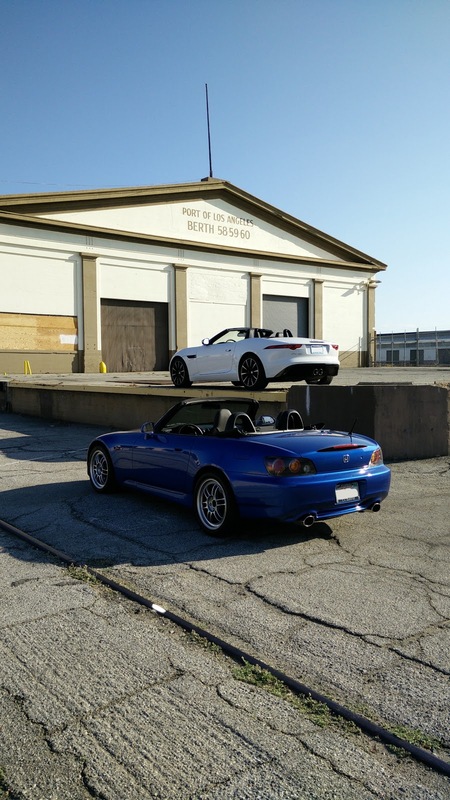 Perhaps the best way to compare the difference is that driving the S2000 feels like flying while the F-Type is pretty much the best flight simulator money can buy. Of course, the $42k price difference buys one of the most epic soundtracks this side of a supercar. 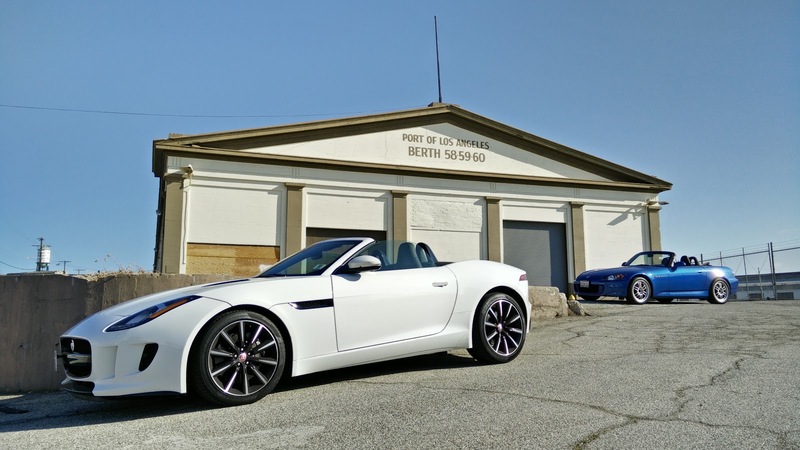 The F-Type is without question one of the best sounding cars money can buy. The double-barrel shotgun exhaust sticking out the back belches forth a symphony of pops and cracks to accompany the thunderous bellow anytime the throttle is depressed beyond a quarter of its travel. As sweet as the S2000 sounds when its VTEC cam comes online, the angry thrum of the high-strung inline-four is simply no match for the melodious whine of the supercharger atop the valley of the banks of the Jag's V6 nor the roar of that tuned exhaust. They each offer a very different driving joy, but there is simply no contest that the Jag is the much sweeter sounding car. However, if I am serious about spending my own money, as gorgeous as the F-Type is and as much as the Jaguar appeals to my inner hoon, that enormous price gap is really hard to overlook. A decent condition S2000 like the one that my brother owns is a rare buy in this day and age, but is still much more accessible than the price of any used F-Type. Sure it lacks that amazing exhaust sound, but it also makes up for it by being a lot more visceral of a drive. There is simply no getting around that pound for pound and dollar for dollar, the S2k is a performance bargain. But money no object, I still love the refinement and theatricality of the Jaguar.